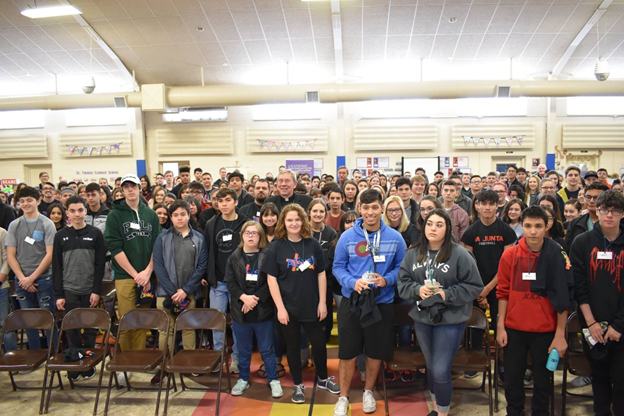 April 7th – 4:30 p.m. to 6:00 p.m. Parent/Sponsor Session for Confirmation Candidates 2019 (All Teens also meet in a separate space). 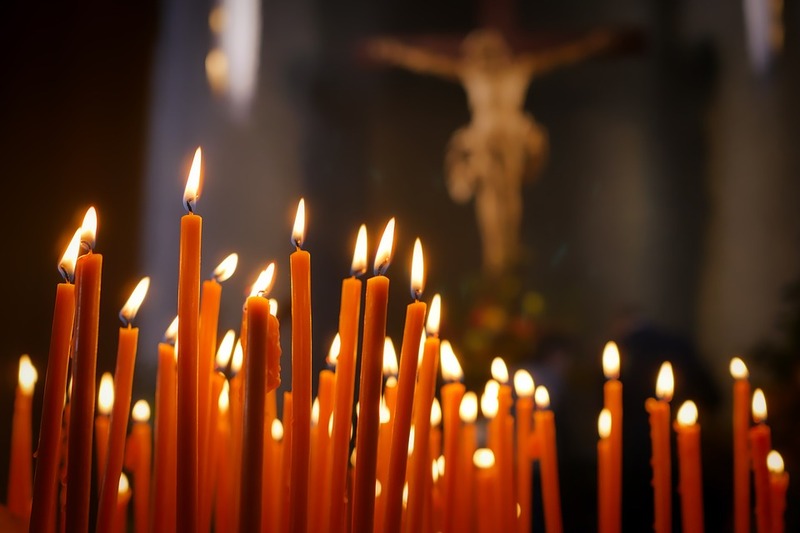 April 14th – Palm Sunday “Tenebrea” Service – Parents and Teens invited. 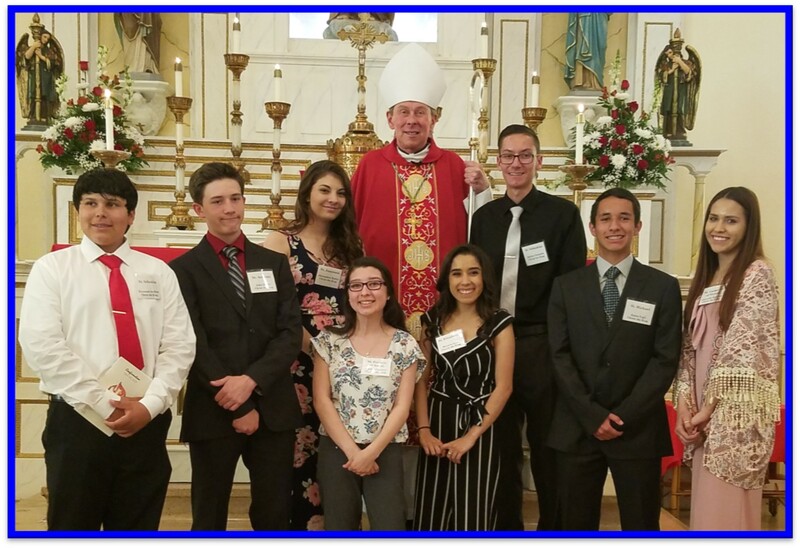 Starting time 7:30 p.m.
THURSDAY May 16th – Sacrament of Confirmation with Bishop Berg at Christ the King at 6:30 p.m.
We are asking that everyone update their registration in the parish this year. Please print page one and page two and return your completed forms to the parish office. Please click here for the CTK Parish Registration Form – Page One. Please click here to print the enrollment form for Pre-K to High School – Page Two. You will then need to turn these forms to the Parish Office or in the collection on the weekend. Questions about the Sacrament of Confirmation? Keep scrolling below, or check out the Confirmation tab under Sacraments. Calendars and events will be posted frequently throughout the year. 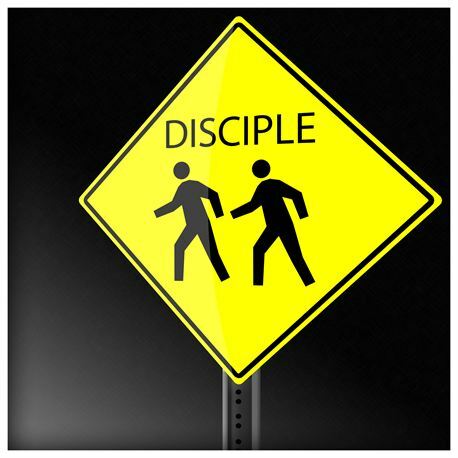 Both Confirmed and Non-Confirmed High School teens are invited to attend our High School Youth Discipleship. Journey together with our Youth Ministers and one another for all four years of High School. 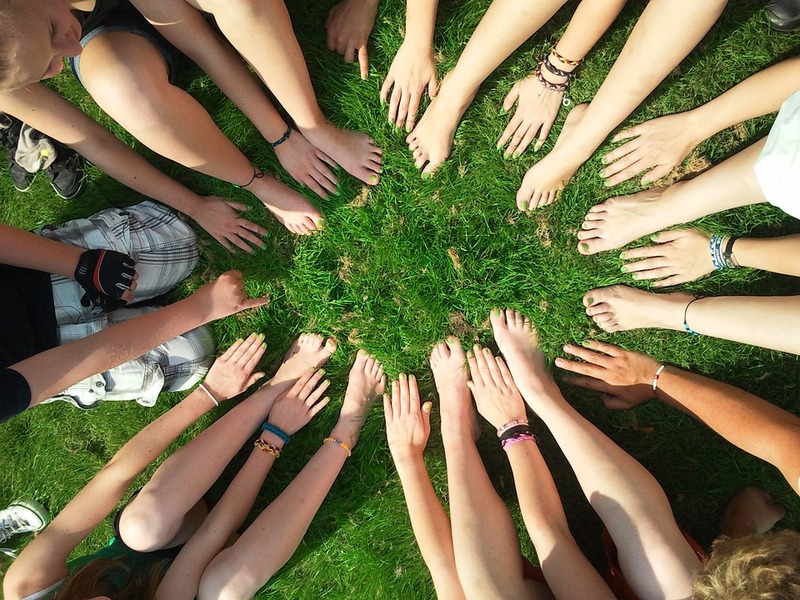 Youth are gathered to grow as disciples of Jesus Christ by learning about the Catholic faith through discussions, small group gathering, presentations, games, adoration/prayer, retreats and more! Sessions resume in September and will take place on Sunday evenings. Youth gather most Sundays from 4:30 p.m. to 6:00 p.m. in Sr Joan’s Rooms in the Little Flower Formation Center. Youth Ministry Happens Year Around: Youth are encouraged to continue growing in relationship with Christ throughout High School. Discipleship formation includes opportunities for prayer, for dialogue, and for entering more deeply into the mysteries of Christ and His Church. 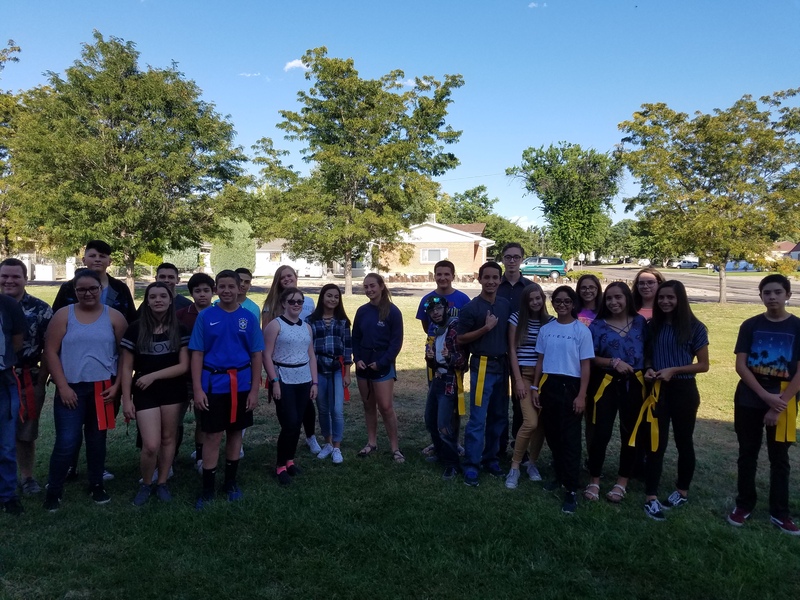 Additionally, our youth ministers offer a wide variety of growing opportunities– such as coffee/book discussions, games, retreats, mountain hikes, national and local retreats, quidditch and dodgeball tournaments happen as well! The goal of the website is to have all Catholics in Southern Colorado register for a weekly email that will deliver on average one new post each week, which everyone subscribed will receive in their email inbox automatically, to stay in touch with the latest and greatest. You can expect posts about The Joy of the Gospel, Building Amazing Parishes, Forming Intentional Disciples, Prayer and Spirituality, Easy Evangelization, St. Therese of the Child Jesus, and what it means that we are The Diocese of The Little Way. Plan to get very simple, practical, and exciting messages, tools and resources from our posts. 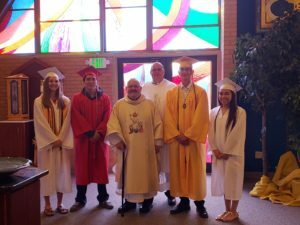 The Class of 2018 was honored at the Baccalaureate Mass on Sunday, June 3rd at the 10:45am Mass. Congratulations to our 2018 Graduates! We pray for these young men and women, and those not pictured, that God will guide them in the next step of their journey. 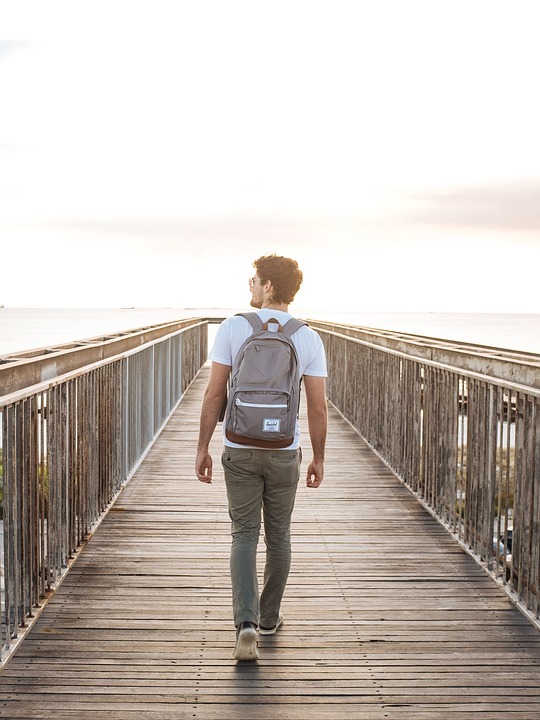 Headed to College in the fall… Click here for Pope Francis’ Advice for College Students. 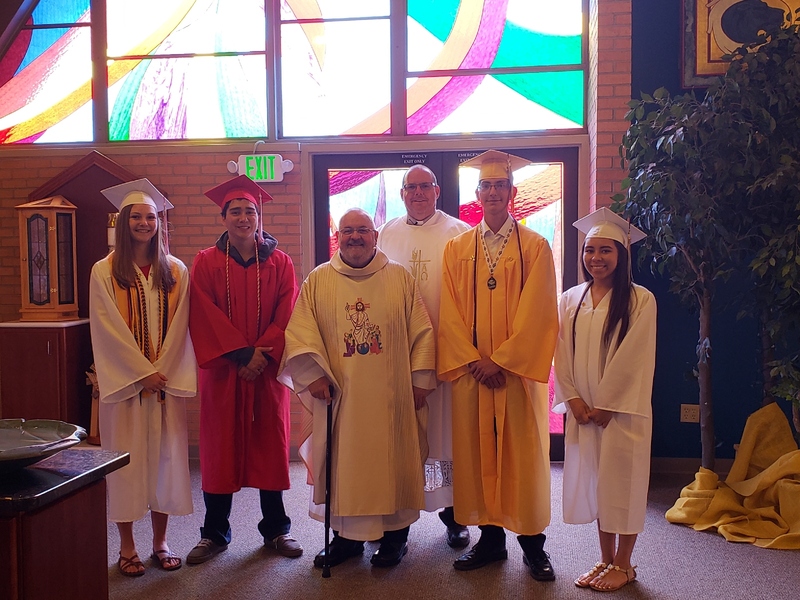 Congratulations to our youth who were confirmed at Mt. Carmel on Sunday, April 22nd by Bishop Stephen Berg. 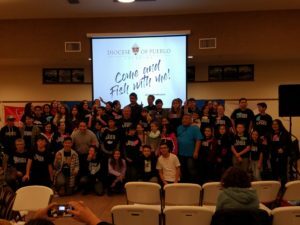 Youth are encouraged to grow in their faith through active participation in a variety of activities, retreats, conferences and events. 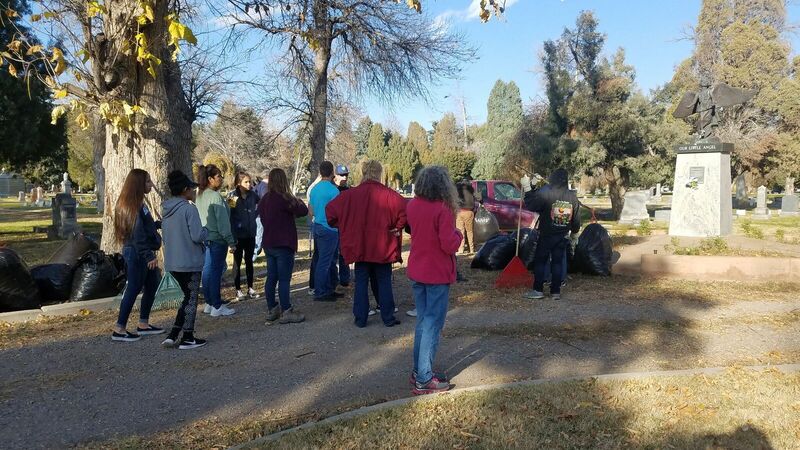 (L to R) Youth and Families participate in Roselawn Cemetary Clean Up & Youth Ministers and teens summit a mountain this summer & Youth participate in the City Wide Youth Festival with Jesse Manibusen. Steubenville of the Rockies: Our Youth Ministers, Jacob and Lauren, will be inviting anyone from the Pueblo Deanery to attend the 2019 Steubenville of the Rockies Conference. They will have teen gatherings, parent meetings and chaperone meetings beginning in late Fall of 2018. If your teen, or any of their local friends, wish to attend this Retreat, please contact us at the Parish Office for more details. 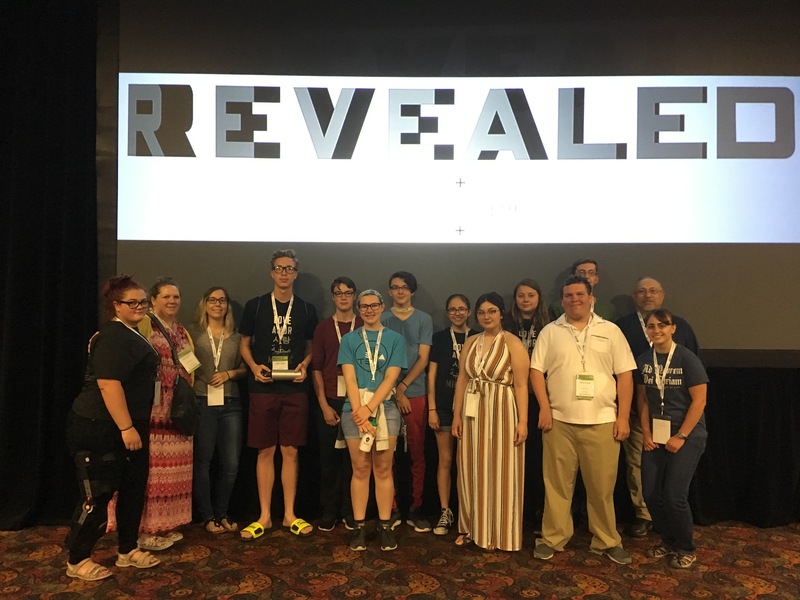 The Steubenville Youth Conferences, an outreach of Franciscan University of Steubenville, are a series of 25 conferences across North America that help teens encounter the love of Christ every summer. Our mission is to build the Church by evangelizing, equipping, and empowering God’s children to become radical and joyful disciples. For more information about the Steubenville Conferences, visit steubenvilleconferences.com. Crowne Plaza – Denver Intl Airport, ColoradoTeens who wish to attend will need to have their $50.00 deposit by December 16th, 2018. At each Mass we proclaim that the Eucharist is “the source and summit of the Christian life.” The other sacraments, and indeed all ministries and works of the apostolate, are bound up with the Eucharist and are oriented toward it. For in the blessed Eucharist is contained the whole spiritual good of the Church, namely Christ himself. Training and mentorship offered for any of the above ministries. Contact the Parish Office for further details! Are you a high school student who attends East, Centennial, Central or South? Did you know that there is a Newman Club at your school that meets once a week during all the lunch periods? Newman Clubs provide food (yes – free food!) and a great place to talk about Catholic faith issues with other students and Catholic youth ministers. You don’t even need to be Catholic – invite your friends. Here is where and when they meet. Stop in and check it out! 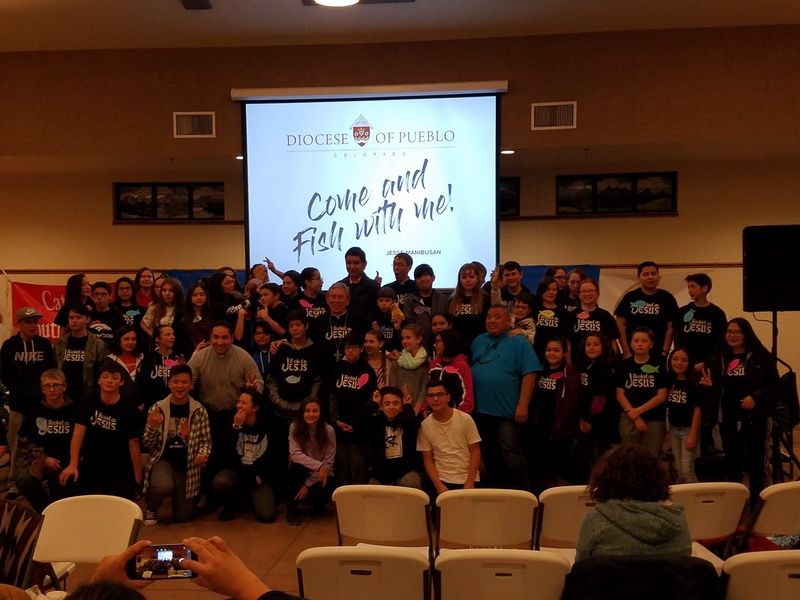 Newman Clubs are sponsored in part by the Catholic Foundation of the Diocese of Pueblo. Keep praying about God’s plan for your happiness! 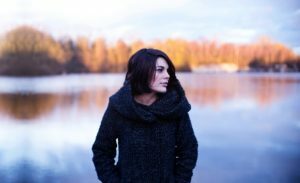 “How am I called to love?” This is one of the first questions that a person who is discerning should ask. Discernment is to enter into a search so as to be lead by the holy spirit and the Church and eventually arrive at a solid understanding of and faith in God’s plan for your life. Simply put, to discern is to allow the Holy Spirit to make a very big desicion that will impact your life, your relationship with God, and others around you in a tremendous way! Relgious Life, Single Life, Priesthood, or Married Life. 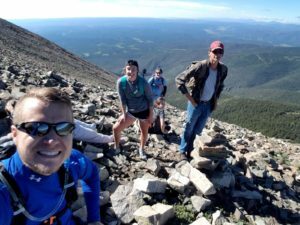 Working with any person in the Diocese of Pueblo who is discerning their vocation. Fr. 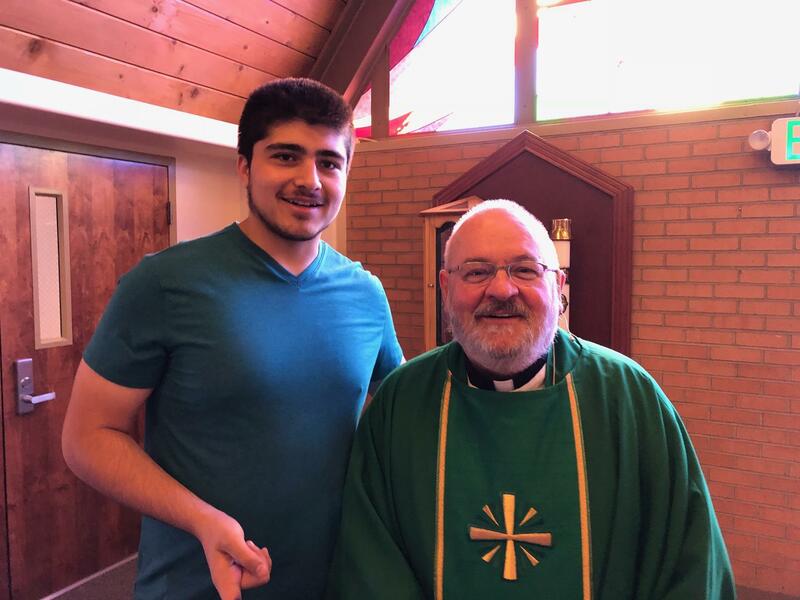 Carl, the vocation director, has 3 years of priesthood experience, 2 years working in the vocations field, a certificate in Seminary Formation- March 2019, frequent communication with relgious sisters, and a joy for living out his vocation and helping others find and live theirs. He is readily available via call or text or e-mail or social media. 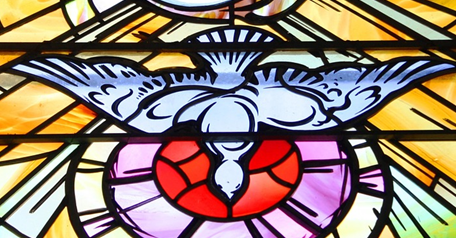 Feel free to take a peek at and be aware of the diocesan web page for vocations! All young men age 14 and older, who may be considering a vocation to the priesthood, are invited to contact Fr. 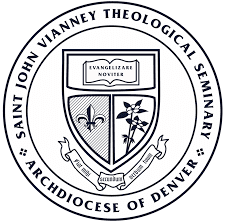 Carl at 719-680-1971 (Call or Text) cwertin@gmail.com or the Vocations Office at 719-544-9861 ext. 1116. 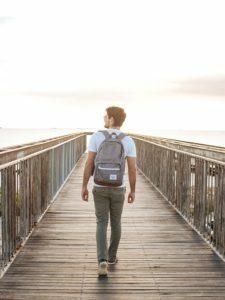 Young Men’s Discernment Retreats- There will be periodic discernment retreats throughout the year. Please continue to check back here or at the Diocese of Pueblo Vocations page. Periodic Retreats and discernment dates are set throughout the year for those who may have questions about serving in the Church. Ladies, if you have questions please contact Fr. Carl at 719-680-1971 cwertin@gmail.com or the Vocations Office at 719-544-9861 ext. 1116 eknellinger@dioceseofpueblo.org for further information. Nat ional Catholic Youth Conference—Bi-annual conference held in 2017. Next one will be held in 2019. 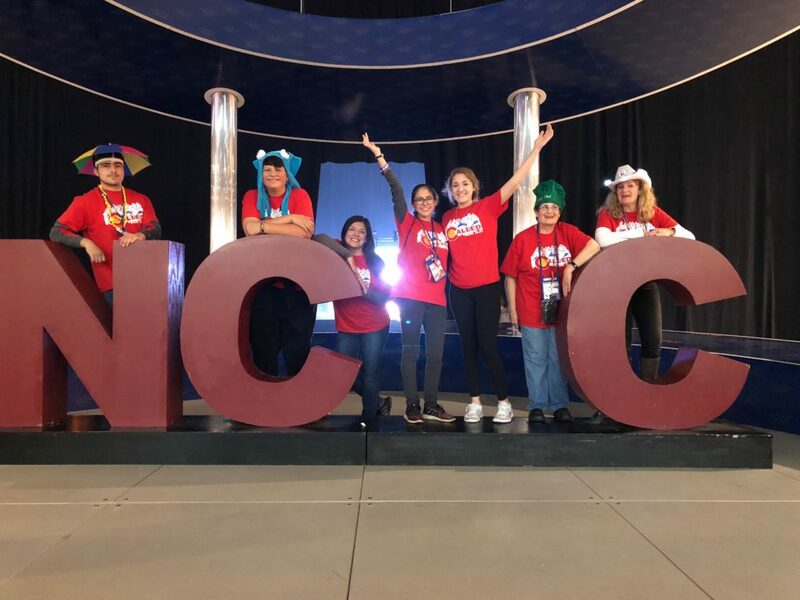 High School Parishioners- Anika Escalera and Phillip Sandoval and Lucas Espinoza, along with other youth throughout the city attended NCYC 2017 — a gathering of 24,000 youth from all over the U.S. celebrating their faith—a tremendously powerful experience! They wish to express their gratitude for the outpouring of support from the Parish Community. Youth are to commit to two years of High School Discipleship and be enrolled currently before entrance into Preparation for Confirmation. 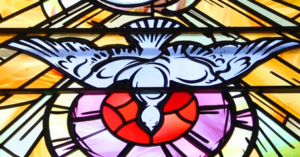 Throughout the year, our Youth Ministers will be developing special sessions specifically to cover the Sacrament of Confirmation within their 4:30 p.m. to 6:00 p.m. Discipleship time frame. Teens who are ready to commit to the above and below critera are welcome to enter into Preparation for the Sacrament of Confirmation. Participate in the specific Confirmation formation sessions during their 2nd year of Discipleship. Willingness to make a commitment to share regularly in the sacramental (Eucharist and Confession) and prayer life of the church. 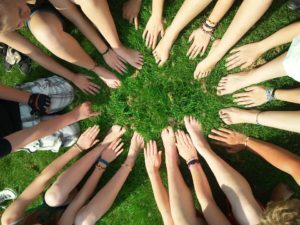 Parents: You are invited to become more active in both your personal formation and within the lives of your teens. There are many Adult Formation opportunities throughout the year. These can be found under the Adult Formation tab. All are welcome! Dedicated and passionate about their relationship with Christ and the Catholic Church, our Youth Ministers, Jacob and Lauren are waiting to meet your youth. Come and join us! Click here to learn more about Jacob in the February 25th, 2018 bulletin. Click here to learn more about Lauren in the March 4th, 2018 bulletin.